Today's NOAA 19 weather satellite image recieved at my ham radio station in Yorkshire UK at 13.55 UTC. 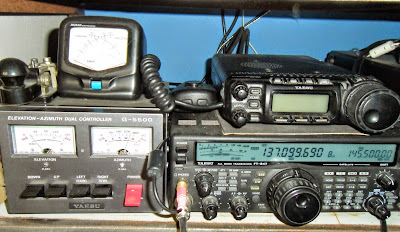 Equipment Used: Yaesu FT-847, Radiocom 5.2 Decoder, 5 element Yagi, G-5500 Elevation/Azimuth Rotator. 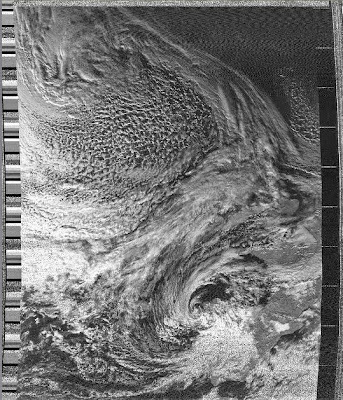 The UK can be seen with lots of cloud cover at the middle right hand side of the decoded image. As I entered the Car park at work this morning I gave a shout out to Chris VK1GG/P2, who for the second time this week was booming into my mobile "FT-100 Maldol Combo" on 20M. Later in the evening at around 18.25 UTC, I was once again out and about in the mobile with the rig turned on listening in on 14.222 MHz. Whilst driving, I heard JM1WBB - Isao coming in great as he worked lots of stations from various continents located around the world. Isao - JM1WBB was hitting my little Yaesu FT-100 with a 5/9 signal all the way from Setagaya, Tokyo Japan. Once again I engaged the PTT calling "HTS/Mobile" where again I was in look as I was received by Isao - JM1WBB with a 5/2 report into Japan. 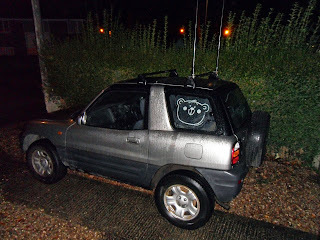 I was surprised to make the QSO at that time of day as well as being absolutely delighted. Its always a great feeling getting good reports from DX Stations whilst using my mobile ham station, I hope you all have a great weekend, 73 happy DX. My Monday morning work journey looked rather bleak for riding my motorcycle. It had been snowing over the night leaving icy patches and slippery surfaces which I prefer to avoid whilst travelling on two wheels. So taking the easy option I proceeded to fire up the little Toyota 4 X 4 and at the same time I gave myself an opportunity to switch on my good old Yaesu FT-100 mobile radio. Within a mile of leaving my QTH I heard VK1GG/P2 calling CQ DX on 20 meters with a loud 5/8 signal. I gave Chris - VK1GG a couple of calls back and Chris heard me via the long path with a 5/4 signal. I was very pleased to make the QSO into VK2 land from my mobile at a distance of over 15000 miles. 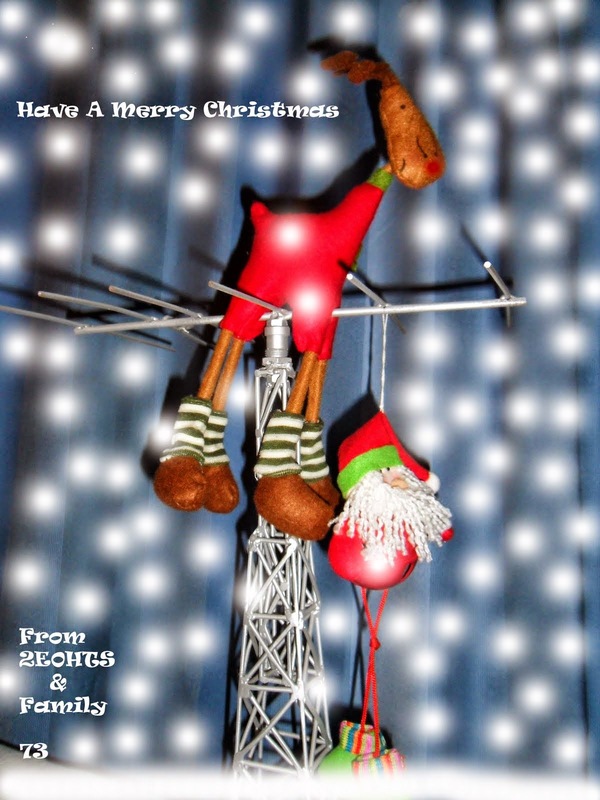 I have worked many DX with the same FT-100 and Maldol HFC-20 mono band antenna throughout the years with excellent service and reliability not forgetting their superb performance. 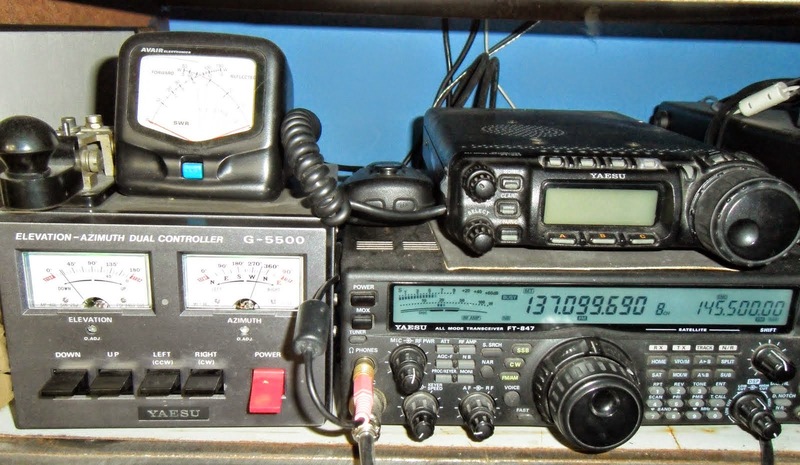 I first obtained this particular mobile set up back in 2004 and after today's DX performance into Canberra, Australia with Chris - VK1GG, I can say it is still doing a very nice job for me.